Thanks to everyone who sent in their collection candles at the end of last term. By filling them with all your loose change, you managed to raise £125.00 for the Children’s Society. Thank you so much for all your kind donations. Thanks to Jean Bramall, our school Governor and member of the Church PCC who counted the money and sent the donation to The Children’s Society on our behalf. 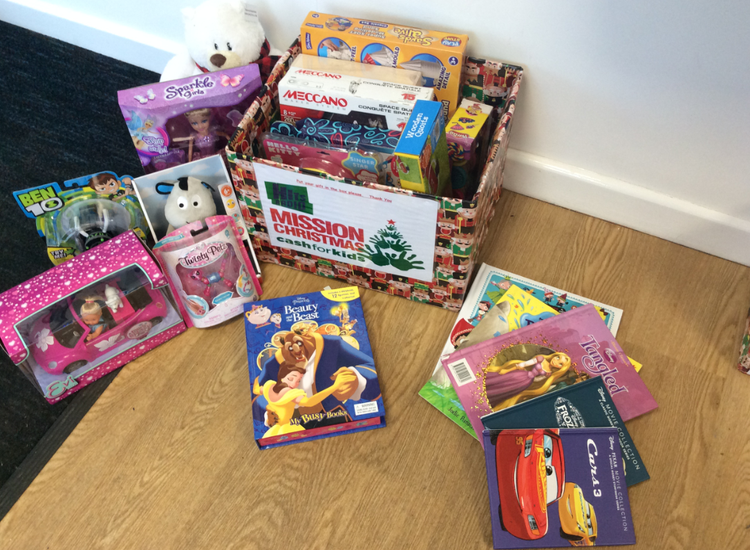 Thank you to everyone who bought an extra Christmas present for the HITs radio Mission Christmas appeal. Mission Christmas is all about bringing children in poverty across Greater Manchester some Christmas spirit at a time when they need it most. Organisations across Manchester have nominated children who they know will not have a present under their tree this Christmas. I am so pleased that St. John’s could be involved in this appeal and be part of spreading Christmas cheer across Manchester. This year, The Royal British Legion Poppy Appeal marks the end of the WW1 centenary by saying Thank You to all who served, sacrificed and changed our world. From Monday 6th November, we will be selling Poppy Appeal 2018 poppies and associated merchandise at School. Children will be able to purchase poppies and/or these items (items priced at 50p to £1.00) at morning break. Poppies will be on general sale in the lobby for a donation. Thank you to all the Parents/carers who attended this service today. We hope you enjoyed our harvest celebrations. Your kind donations will be sent to Rochdale Foodbank in conjunction with St John’s Thornham Church. Thank you to parents/carers of Discoverers Class children for attending the Forest School session with your children and for all your kind donations for our yummy homemade soup; we hope you all enjoyed the afternoon. Thanks also for all the loose change to fill our “Tiger Feet”. You helped us raise £ 100 to go towards the cost of adopting our very own tiger, Alyona! The children are very excited about meeting Alyona at Blackpool Zoo on Wednesday! !